Virgo ascendant, horoscope consultation, understand importance of kanya ascendant or lagna, astrologer for minute analysis of horoscope, Birth chart analysis, Vedic astrology for analysis and solutions of problems. 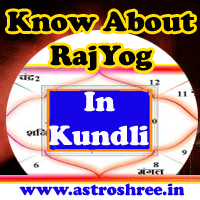 If the number 6 is present in Ist house of lagna kundli then it is sure that the ascendent is Virgo/kanya. Now by studying properly the master of virgo in birth chart we can know many things about life. Since lagna has relation with every segment of life so we can know many things about life like personality, nature, life style, problems in life etc. So it is good to take the help of astrology to make our life fruitful, successful and powerful. We can know about the right gems stones to enhance our power through kundli analysis, we can know about right puja and daan for a good life, we can know about the precautions to take in life to avoid problems. If your lagna is Virgo then the master of your lagna is Mercury/Budh. This type of persons are moderate in nature and know the best ways to live life successfully. Fickle nature also supports to take part in different creative works, sports, physical activities wandering activities. Mercury is exalted if present in Virgo, in this case person is benefited by relationship, excellent intelligence, dynamic personality on the other hand if Mercury is present of Pisces then person become lethargy, time pass, want to get the work done through negative ways. In this case person live life with money problems, dissatisfaction, confusion etc. also adopt some qualities of females easily to enhance the life. people may become good lawyer, manager in financial institution, good advertiser, copywriter, doctor, consultant etc. In case of malefic Mercury these people live a confusing life, a struggling life, inauspicious life. 1. Do use your powers in a creative way to make life good. 2. Don't involve in gossiping too much to save time for good work. 3. Do meditation to enhance your mind power and to increase the focus power which will give you a grand success. 4. Beware of your diet, eat healthy and fresh to avoid any health problem. Get proper report of your birth chart/horoscope/kundli to know about favourable gems stones, favourable yantra, best puja and daan for you.